Islamorada. Where Productivity and Play Come Together. Islamorada Resort Collection's portfolio of resorts is ideal for intimate indoor corporate meetings, large social functions in one of our outdoor tiki huts and “fun in the sun” incentive programs. With four unique properties, it’s possible to “mix and match” the services and facilities of each to create a fun yet productive meeting experience for groups. 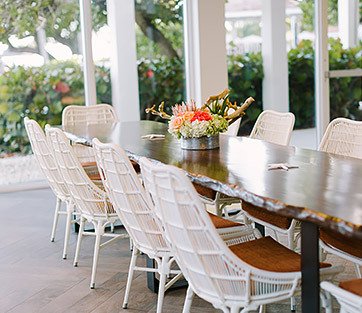 Ideal for meeting planners seeking to strike a balance between work and play, our Islamorada resorts are the perfect setting for morning meetings followed by afternoons on the water. Our experienced event staff will work with you to create a custom itinerary that showcases the best of the sportfishing capital of the world, while ensuring your meeting objectives are met. With options ranging from indoor meeting spaces offering sweeping ocean views to relaxed beachfront pavilions outdoors, Postcard Inn’s variety of venues offers a special element of surprise for each event. 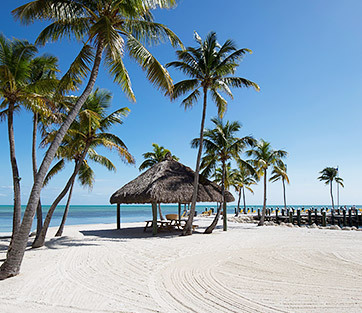 Postcard Inn features seven distinct meeting and event locations comprising 5,780 square feet of newly renovated indoor meeting space and more than 130,000 square feet of outdoor waterfront event space in Islamorada. Ideal for small corporate events and incentive programs, Amara Cay Resort is a picture-perfect destination for those who seek to round out their meeting agenda with generous amounts of leisure time. 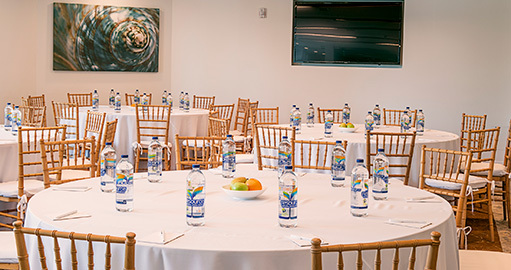 The Glass Bowl is a well-equipped space that can accommodate 50 guests for meetings and receptions. After business is taken care of, let us organize an elegant beachfront tented dinner, a fishing trip picnic, or fun BBQ for you and your clients. The Nest is a beautiful private room perfect for hosting small meetings or cocktail receptions. 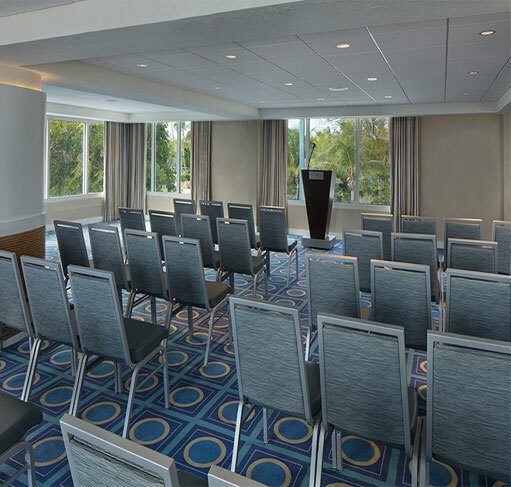 Newly remodeled with high speed Wi-Fi and a flat screen TV, The Nest provides conference style seating for 12, or reception style space for 20. Sliding glass doors open to a small beachside patio, perfect for breathtaking views and a dose of salt air to reinvigorate creative minds during business meetings. After the work day is done, Pelican Cove offers a number of outdoor venues to host private dinners. This space is ideal for social gatherings. Tell us more about the meeting you’re planning by completing a RFP form here. A member of our sales staff will contact you shortly to discuss your event. Nothing inspires fresh ideas like sun, sand and salt air. Accommodating up to 50 guests, Amara Cay’s well-equipped Fish Bowl meeting room is ideal for small corporate meetings and incentive programs. In the evening, celebrate with a beachfront dinner beneath a tent or a fun beach BBQ. Gather your top team members for an executive retreat in La Siesta’s Starfish Villa, a secluded five-bedroom oceanfront bungalow. After a morning of meetings, head outdoors for teambuilding activities, a half-day of deep-sea fishing, and more. With accommodations ranging from guest rooms and suites to a beachfront cottage and villas, La Siesta is also ideal for family reunions and incentive groups. 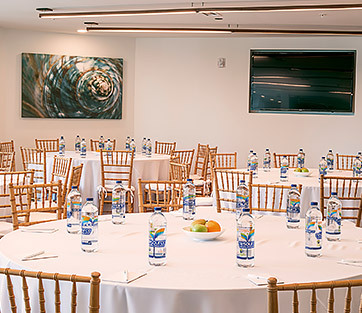 Accommodating up to 12 for board meetings or 20 for business receptions, The Nest at Pelican Cove is an intimate indoor space with WiFi and flat-screen TV, as well as sliding glass doors to a beachside patio. • Dressed with permanent tent poles, landscaping, lighting and privacy fence and trees. Ideal for meetings, incentive programs, company events and fishing tournaments, the Postcard Inn is a full-service oceanfront resort with more than 135,000 SF of indoor and outdoor event space, as well as exceptional catering and full meeting services.